Most people think of Antarctica as a completely pristine environment. After all, it has no indigenous inhabitants; only penguins, seals and albatrosses living far away from the dangers faced by wildlife on other continents. Similarly, to political experts, Antarctica is in good hands, governed as it is by the widely celebrated Antarctic Treaty System (ATS), which is considered one of the most successful international legal regimes. But what if I were to tell you that Antarctica is currently the world’s least environmentally protected continent? Only 1.5% of its ice-free portions have been formally designated as a specially protected area under the ATS, whereas the United Nations Convention on Biological Diversity has recommended a 17% global target. Given that Antarctica has no indigenous people, and that we are told it has no large-scale commercial activity either, the 1.5% figure becomes all the starker. What is the explanation for its vulnerability, then? A fierce battle for Antarctica took place in the earlier part of the 20th century, with seven countries making unilateral territorial claims, and the US and Soviet Union abstaining only for the purposes of not escalating the political conflict. 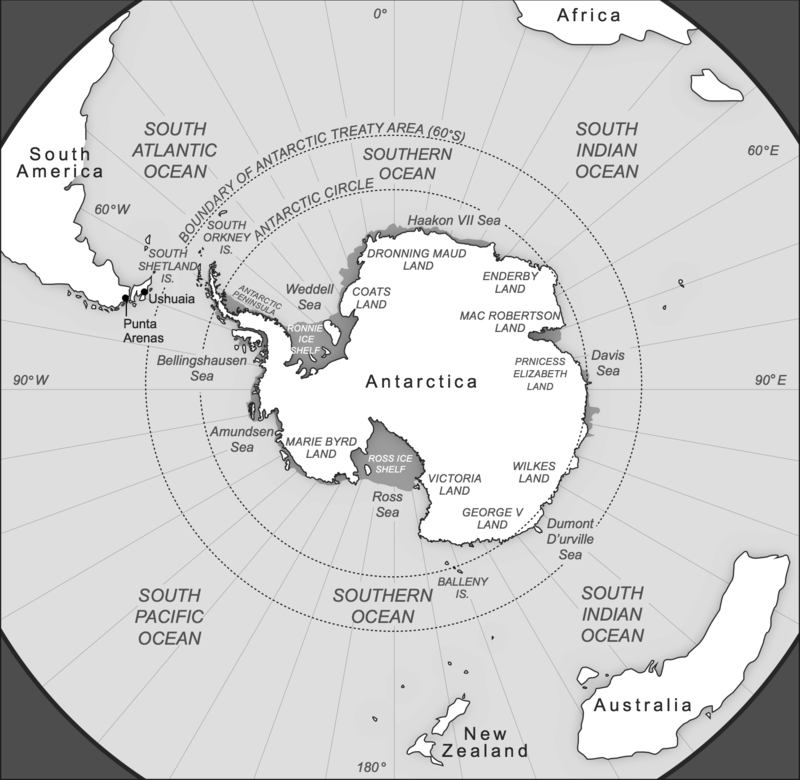 Negotiated under President Eisenhower, with the US very much in the driver’s seat, the 1959 Antarctic Treaty froze all territorial claims, demilitarized the continent, and dedicated it to peace and science. While the ATS was negotiated with all the right intentions, it seems to have had the perverse outcome of accelerating the race for the seventh continent under the guise of scientific inquiry. To gain entry into the Antarctic Treaty, countries have to send a scientific expedition or build a research station. 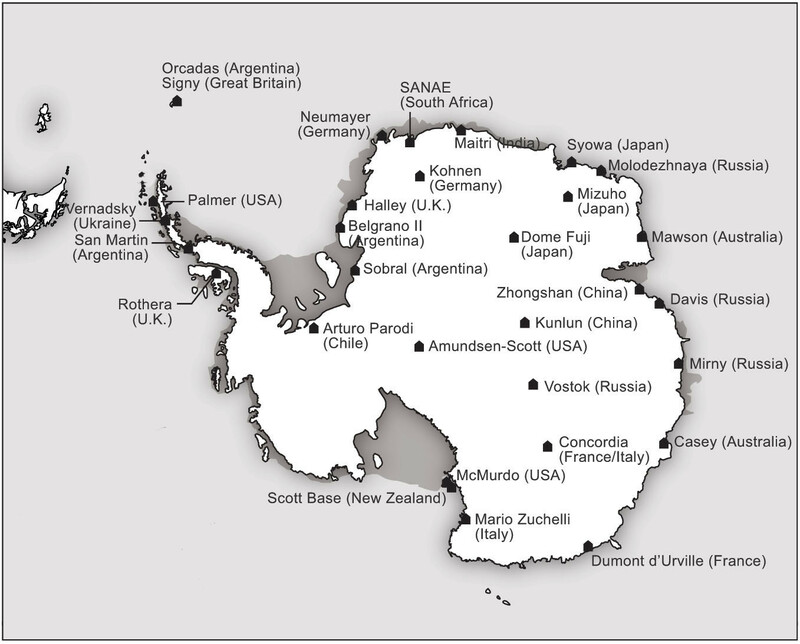 Currently, the 29 decision-making powers have dotted Antarctica with a total of 82 research outposts. Eighteen of them have multiple stations (main outposts shown below). Despite this number, studies reveal that only two countries, the US and the United Kingdom, produce 41% of all Antarctic science. The vast majority of stations were established simply to gain a foothold in Antarctica and to fly the national flag. In fact, in a supposedly unoccupied continent, place names have strangely enough been ascribed to its every corner. Overall, 23 countries alone have assigned a total of 37,557 place names there. It has led some scholars to call for the decolonization of the continent, and a reknowned academic to question why the world succeeded in establishing an internatonal space station but not an international Antarctic one. Antarctica’s environment is fragile and currently at risk. While parties to the ATS have banned mining there until 2048 in an Environmental Protocol to the main treaty, the ban appears to have been driven as much by a desire to protect historical territorial claims from eroding, as it has been by environmental concerns. Claimant states did not want to see others mine in their area of claim. In fact, evidence suggests that claimant states have deliberately weakened the environmental oversight function of the ATS. For instance, despite an Environmental Impact Assessment (EIA) requirement for all activities in Antarctica, no one can veto a proposed activity, with the final decision resting with the activity’s proponent. Furthermore, EIAs are taken so lightly that they are seldom submitted on time. Take for example the construction of the South Pole traverse by the US, a 1,650 kilometre-long ice road, for which an impact assessment was only submitted many years after the work started. This casual approach to environmental protection would not be so significant were economic activity not on the rise in the continent. Tourism, fishing and bioprospecting – which is the mining of Antarctica’s living resources for industrial, medical and other purposes – are all gaining ground. In 2013–2014, for instance, nearly 28,000 tourists made landings on the continent. Both tourism and bioprospecting in particular are taking place in a virtual regulatory vacuum. In fact, because Antarctica belongs to all treaty parties, the unfortunate reality is that it belongs to no one. The rule in Antarctica is that individuals are solely subject to the penal jurisdiction of the country of which they are a national. This makes treaty parties powerless to stop the environmental damage caused by others in front of their eyes. With the 2048 date soon approaching for a possible revisiting of the ban on mining, we must ask ourselves: what lies in store for Antarctica? The continent’s climate is warming, which is likely to make its resources more accessible and to render its landmass potentially habitable. In March 2015, a temperature of 17.5 degrees Celsius was recorded at the Esperanza weather station on the northern tip of the Antarctic Peninsula, making it the highest temperature ever recorded on the continent. This warming, combined with its weak environmental regulatory framework, and mere 1.5% protected area designation, could bode very badly for continent. We must not allow the renewed battle for Antarctica to come at the expense of its environment.